Bermuda Connection (or its previous incarnations as the Bermuda Connectivity Project and Bermuda Sustainable Transport Bridge) has not featured in any approved local transport plans by the Nuneaton & Bedworth Council or Warwickshire County Council. It isn’t in the approved 2006 Nuneaton & Bedworth Local Plan and also does not feature in the current Warwickshire County Council Local Transport Plan. It was shown but was not readily visible to members of the public in the unapproved ‘Borough Plan Consultation’ as can just be seen in the image below from the ‘Public Consultation’ that was held a few years ago but the bridge was just noted as a new transport route and reading the documentation the new route was to formulise the route for cyclists, not commuter traffic and heavy goods vehicles. 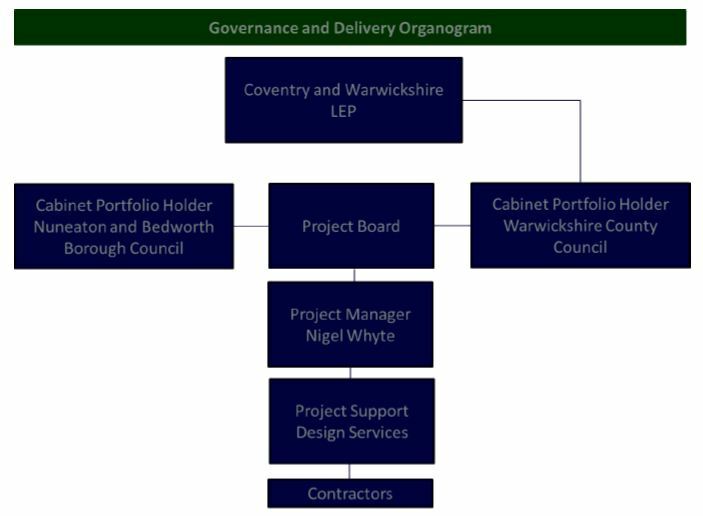 The Bermuda Sustainable Transport Bridge is further detailed in small print in the Nuneaton & Bedworth Infrastructure Delivery Plan that forms part of the ‘unapproved’ Borough Plan (Pages 70, 74, 78, 83, 87). No detail is provided regarding the scheme so to members of the public assumed this was formalising the use of the bridge for cyclists as well as pedestrians. It certainly isn’t indicated that it would form a relief road to the A444! Correspondence obtained by the Bermuda Bridge Action Group is very enlightening in terms of housing development driving the development of the project. On the 21st January 2014, Ashley Baldwin (Principal Planning Policy & Principal Policy and Economic Officer) sent the below image to Councillors Harvey and Councillor Lloyd to accompany the ‘Bermuda Connectivity Project Funding Application Cabinet Report’ (the image is Appendix B of the Cabinet Report). This shows that major housing estates at Arbury View, Whitestone, Weddington and St Nicholas Park are key outcomes of opening up Bermuda Bridge to traffic. 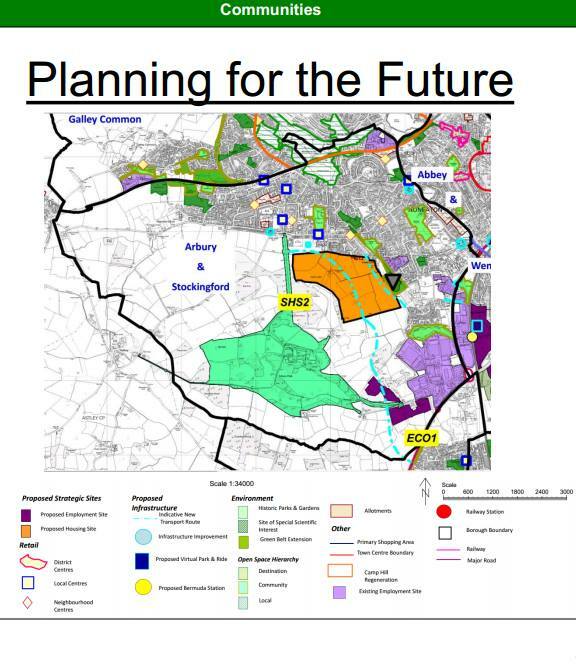 This scheme not only negatively impacts upon large parts of Arbury Ward in West Nuneaton but will have major impacts on North East and South East Nuneaton too from the scale of development and additional traffic congestion created as a result of these developments (areas that are not being consulted by WCC). 2014 05 20 WCC Monitoring Report of Urgent Decisions and Call-in.